The internal carotid artery is a branch of the common carotid artery. The ophthalmic artery is the first branch of the internal carotid artery. 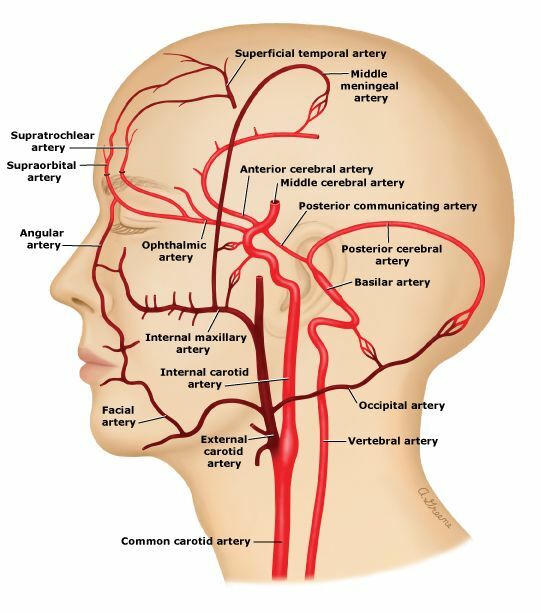 The internal carotid artery will connect to the posterior communicating artery before bifurcating into the anterior cerebral artery (ACA) and the middle cerebral artery (MCA).